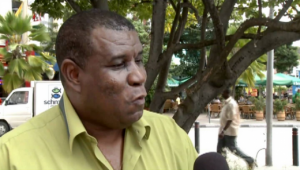 WILLEMSTAD – Member of Parliament for PNP, Humphrey Davelaar wants to know from outgoing Minister of Finance Dr. Jose Jardim who is behind the Howard Johnson casino. The MP also wants to know if the process to obtain a license for this casino was carried out correctly. Davelaar asked if the owner of the Howard Johnson Hotel is the same as that of the casino, since issuing a permit for a gambling house is linked to the requirements that the hotel must have at least 150 rooms. In the past, however, the authorities have deviated from this rule but it was a requirement that both the hotel and the casino have the same owner. In the case of Howard Johnson, the PNP MP has the impression that something did not go according to the rules. Maybe the casino received special favors from the government and that is why the MP is asking these questions.